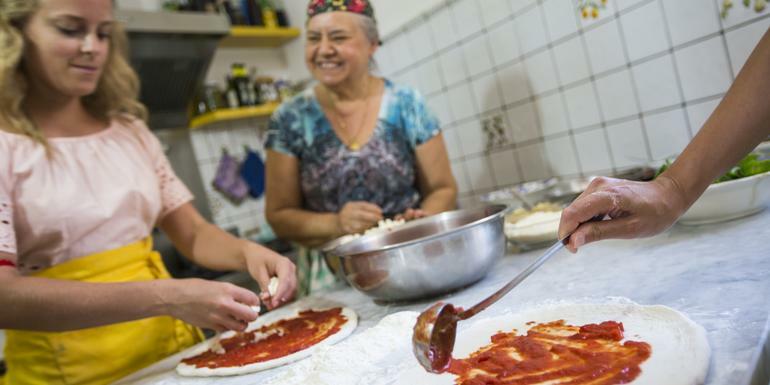 Discover the birthplace of pizza, learn to make traditional Neapolitan pizza , visit the ancient ruins of Pompeii, learn how Italy's famous digestif is made with a limoncello tasting and demonstration, explore the streets of Sorrento. Your Foodie Moment: Pizza Making Demonstration, Naples Your Foodie Moment: Limoncello Tasting, Sorrento. 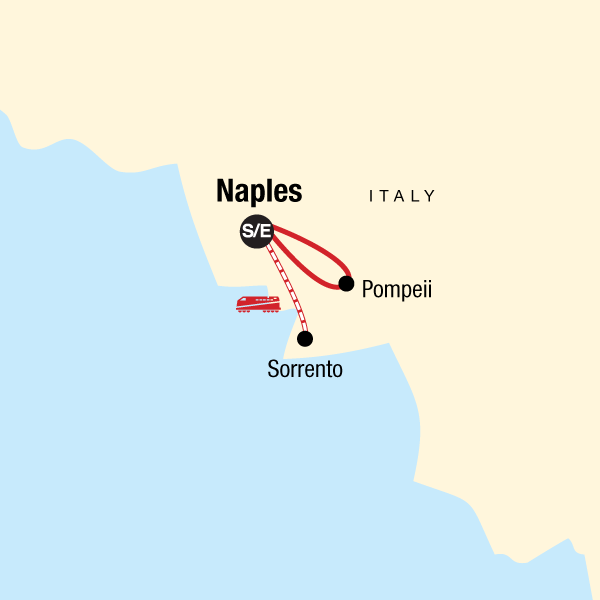 Orientation walk of Naples. Neapolitan Pizza dinner. Pizza making demonstration. Guided visit of Pompeii. Limoncello tasting. All transport between destinations and to/from included activities.